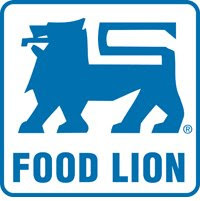 This week Food Lion is running the following promotion: "Buy any 4 General Mills cereals, Betty Crocker Fruit Snacks, Nature Valley Granola Bars or Fiber One Bars at regular retail, and save $6.00 instantly." The regular prices on the cereal and Fiber One bars are rather high, but the fruit snacks are 2 for $4.94, and the Nature Valley Granola Bars are $2.76 each. There were $.50/2 coupons the fruit snacks and $.50/1 coupons for the Nature Valley Granola Bars in the 8/10 General Mills insert. After coupons and the instant $6.00 savings, this is a great deal! Check out great deals for other stores here!